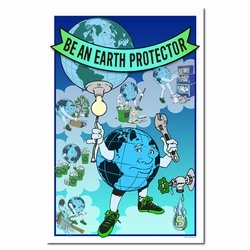 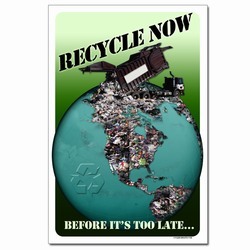 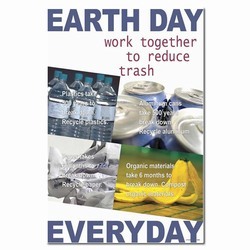 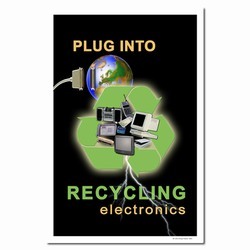 Theme: An image of the earth covered in trash reminds us to recycle now and continually in the future. 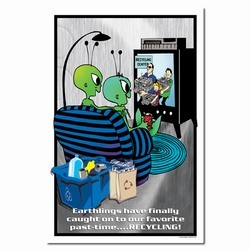 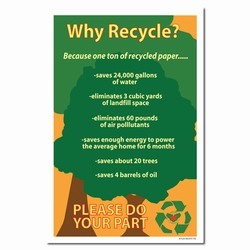 Message: "Recycle Now. Before it's too late..."